The board of ASX-listed, Melbourne, Australia-based platform provider Praemium today said it will meet the request of a group of dissident shareholders to hold a general shareholders’ meeting, during which a requested vote on the board will take place. No date for the meeting was given, but according to a letter posted on the Australian Securities Exchange’s website this morning, it will take place “by the second week of May at the latest”. As reported, what was described as a corporate “bunfight” erupted in Australia, Praemium’s home turf, last week, in the wake of the company’s announced termination on 22 February of its chief executive of five years, Michael Ohanessian, and the appointment at that time of an interim chief executive. According to local press reports, certain Praemium shareholders weren’t happy about Ohanessian’s termination, which they said had come just a week after the company had delivered a 39% EBITDA growth in its half-year results. Following pressure from these shareholders and Ohanessian himself, Praemium formally acknowledged a “shareholder request for [a] meeting” on the ASX’s website last Wednesday. 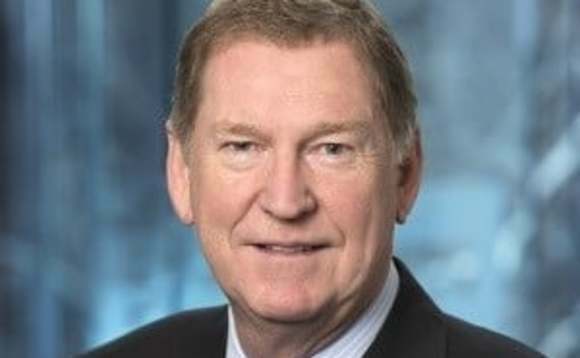 Today, Praemium chairman Greg Camm, pictured, said he was addressing shareholders via a two-page letter, rather than simply posting a notice with all the relevant details about the forthcoming meeting, because he wanted to keep shareholders “as well informed as possible, as early as possible” about the matter of the resolutions that are to be put to the shareholders at the meeting, which “if passed, [will] have the effect of removing the current directors” of Praemium, including himself. Camm told shareholders that “your board” had terminated Ohanessian’s employment four weeks ago in a decision that was “not hasty…and it was certainly not taken lightly”. “The board carefully considered Mr Ohanessian’s continued employment, and ultimately the directors felt that they could not properly discharge their duties while Mr Ohanessian remained CEO,” Camm added. Camm goes on to say that the Praemium board believes deLuca “would make an outstanding permanent chief executive for the company”, citing his record most recently as managing director of Bankwest, in addition to other roles. However, he said the official appointment would not be made, pending the meeting in May, since it would be “costly” to do so if the vote were to go against the existing board, and in favour of reinstating Ohanessian. “Accordingly, we have decided to retain Mr De Luca as interim CEO of the company until the meeting,” Camm said. He said a formal Notice of Meeting would be issued next week, which would cover “all the relevant considerations in this matter”. Praemium was founded in 2001 by Australian Arthur Naodoumidis, a former IT consultant, and listed on the ASX in May, 2006. In addition to Australia, it maintains offices in Jersey, Hong Kong and the UK, where it has been present since 2008. It specialises in separately-managed investment accounts, and says it currently has more than 300,000 active investor accounts, in addition to looking after more than 700 financial institution clients. Last year, as reported, it acquired Wensley Mackay Ltd, a UK SIPP provider. In February, Praemium reported a record profit for the six month period to the end of December, helped by reduced losses in its international businesses, and “record inflows” in the half. At that time it said it was administering funds globally of some A$5.4bn (US$4.14bn, £3.33bn).